Dental implants are a great alternative treatment for replacing missing teeth. Compared to conventional restorations, they also offer the best return on investment. But when is the right time to consider them, and are there ever situations when getting an implant isn’t appropriate? Implants are only for patients whose mouths are fully developed and matured, so most individuals will need to be at least 18 years old or so before considering this permanent restoration. It’s not that it isn’t safe, but it’s important to wait until their facial features are fully formed. How Many Teeth Need to be Missing? There’s no requirement about how many teeth you need to have missing before getting dental implants. Implants can be used to replace individual teeth, or a full set of them. 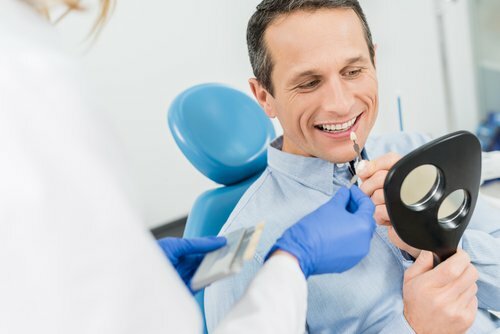 There’s no rule of thumb when it comes to a minimum or maximum amount we require our Wyndham patients to get, but you will need at least a certain number to support larger restorations like bridges or dentures. One thing that’s important about getting dentures is having enough bone to support them. If a tooth has been gone for too long, the bone in that area tends to shrink. Sometimes, a graft is enough to strengthen the area. That being said, any existing gum disease (periodontitis) needs to be completely treated before starting any type of implant therapy. It’s never too late to restore your smile with dental implants. As long as you’re healthy enough, our Wyndham dental team can help you map out a plan to restore your missing teeth or support a permanent denture with as few as four implants. Ready to learn more? Click here for more information or book a no-pressure implant consultation at Wyndham Dental today to get started.